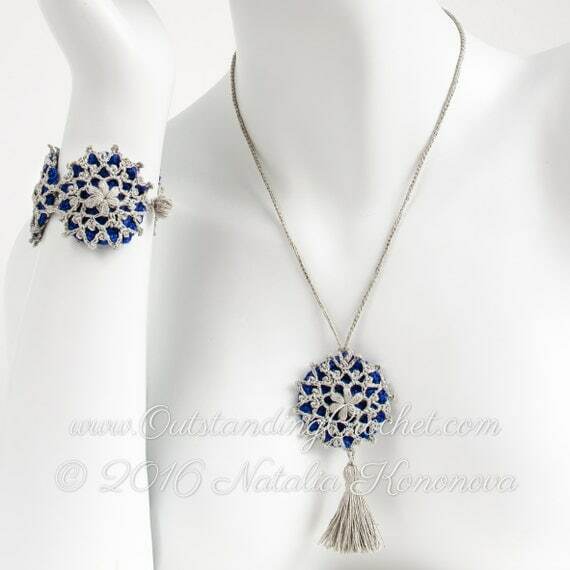 Outstanding Crochet: New crochet jewelry pattern - Snowflake on Blue Bracelet and Necklace with Tassel Crochet Set Pattern. 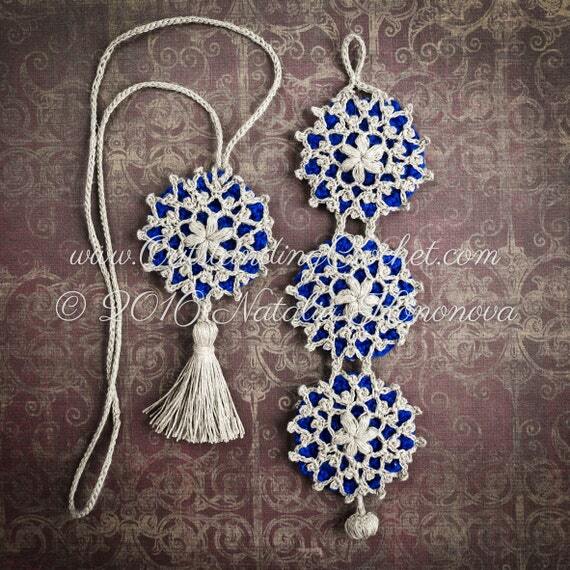 New crochet jewelry pattern - Snowflake on Blue Bracelet and Necklace with Tassel Crochet Set Pattern. This 100 % linen set including button was designed with the image of quiet and magical winter night with deep blue sky and snowflakes, dancing slowly to the ground. If you are itching to make this one, go to This Pattern Page (clickable link) and check it out. As always it includes written instructions, charts and step-by-step pictures. There is a separate file on how to make a tassel. – collection of ideas for your outstanding crochet.